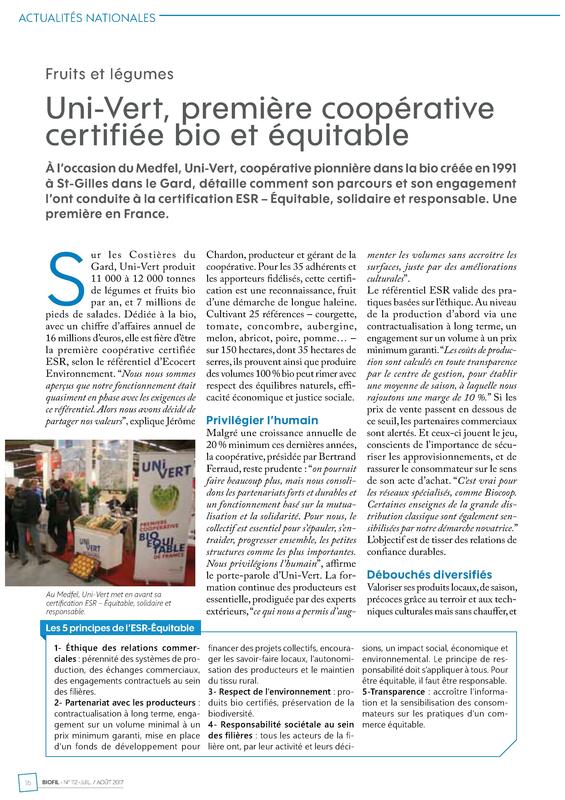 Uni-Vert has become France’s first co-op to be certified both organic and ‘commerce équitable’ (fair trade) in a move that its president hopes will ensure the longevity of its producers’ businesses. 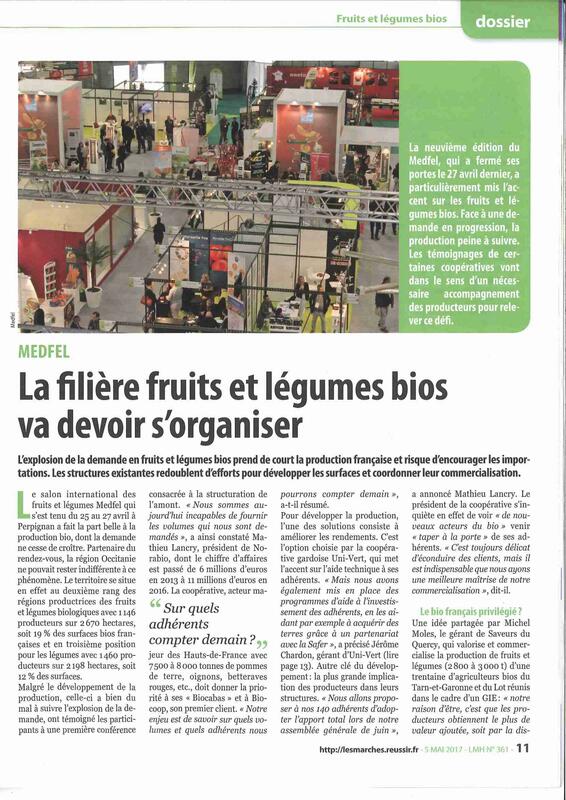 The cooperative, which includes 35 growers based near Nîmes in southern France and in Corsica, announced its new accreditation at the medFEL trade show in Perpignan, having been granted ‘commerce équitable’ status by French certification body Ecocert in October 2016. It now produces 100 per cent of its products according to organic and fair trade standards. 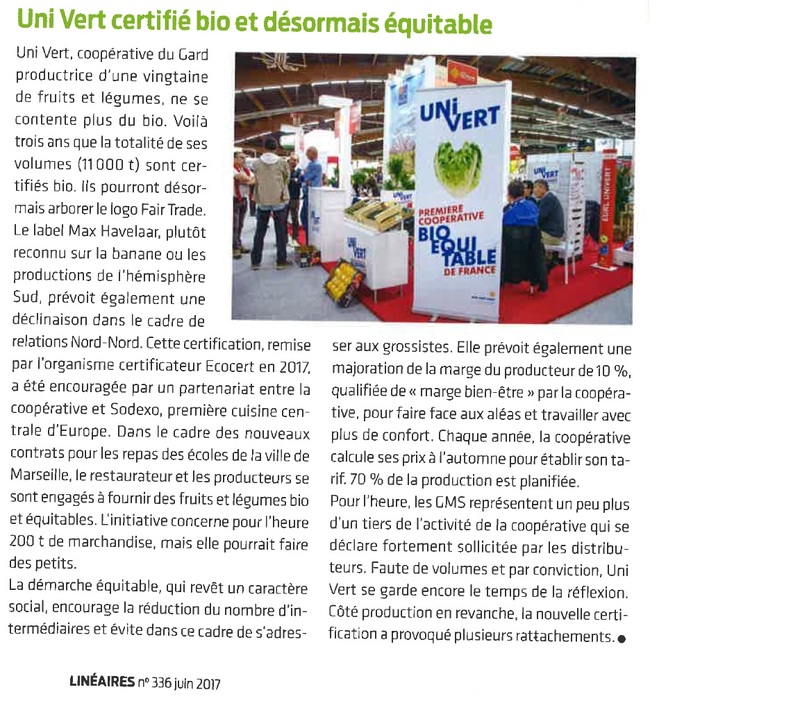 President Bertrand Feraut stressed that Uni-Vert already adhered to the same high ethical standards before the agreement was signed with Ecocert last year. “For us being granted fair trade status is very rewarding,” he said, “but it was basically what we were doing already. Now we have made it official and that will allow us to bring longevity to our members. 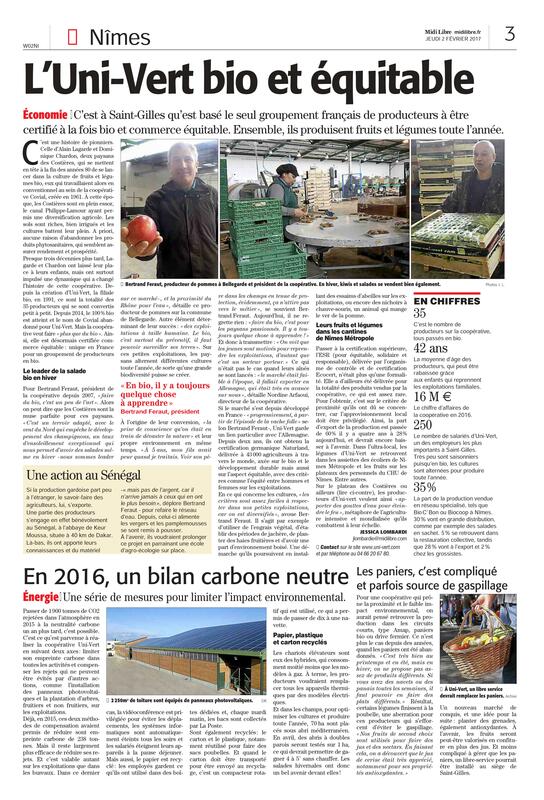 In accordance with fair trade standards, the co-op must pay growers at least 10 per cent more than the cost of production; women and men must be paid equal wages for equivalent jobs; and environmental standards must be adhered to that go beyond those required of organic growers. 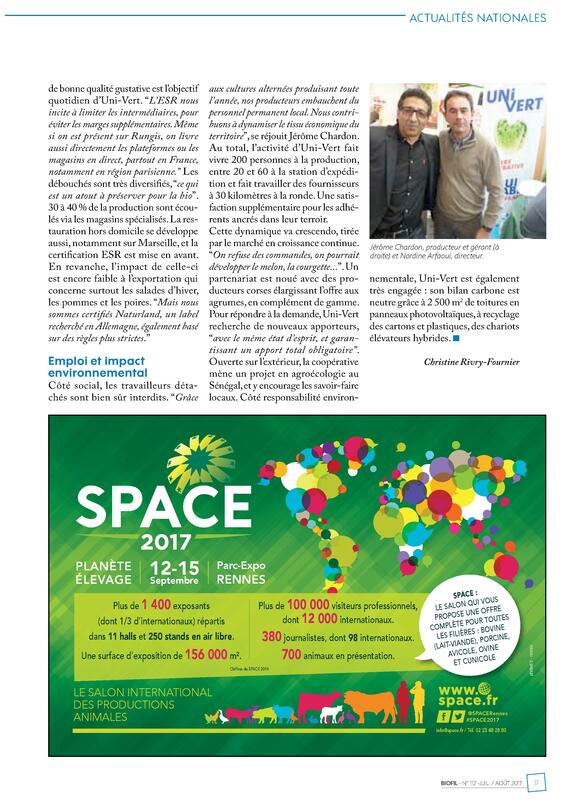 Charles Pulskens, the group’s exports manager, said the decision to seek fair trade status in addition to its organic accreditation was also prompted by growing demand for ethical products in France over the past few years. He also reported that certain organic retailers the country are planning to introduce a special section for fair trade in their stores. 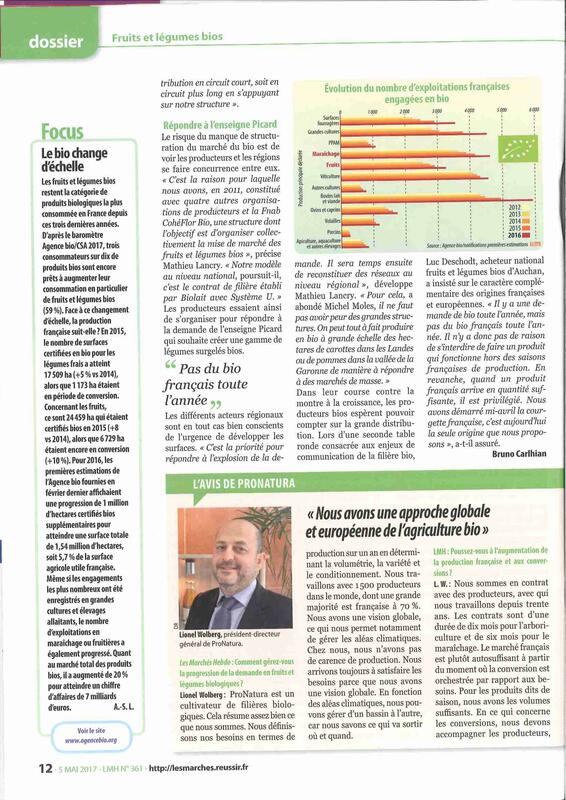 By contrast, the cooperative’s main export market, Germany, is less concerned about fair trade accreditation when it comes to European products. German consumers are more likely to seek out fair trade certification when buying products grown in third world countries, Pulskens said. 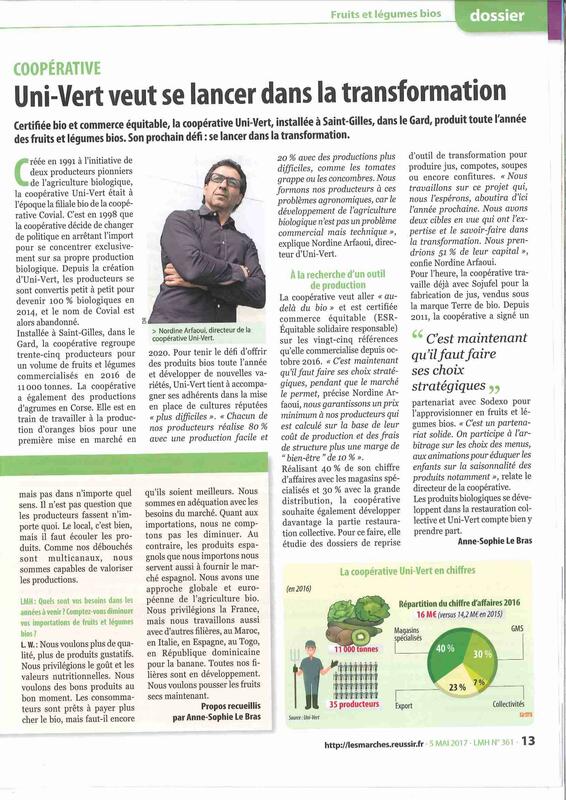 Dans le cadre de son émission "CARNET DE CAMPAGNE", sur FRANCE INTER, l'animateur Philippe BERTRAND accueillait Jérôme CHARDON, gérant d'UNI-VERT.